➨ Building trust, If a user trust your website only then he will purchase product from your site and the same thing applies to other websites . ➨ Secure Payment, When you get connected with these companies than they make sure that transaction is safe. ➨ Adding Alexa traffic widget shows how popular a website is , well known website will always build trust among the users. ➨ Credit card logo and Paypal verified logo give users a chance to make transaction with different modes. ➨ Avoids hackers to steal your users personal information. When User trust on your website. There are 4 essential tips that you need to do when you are creating an online shopping website or a platform where users can buy and sell things. 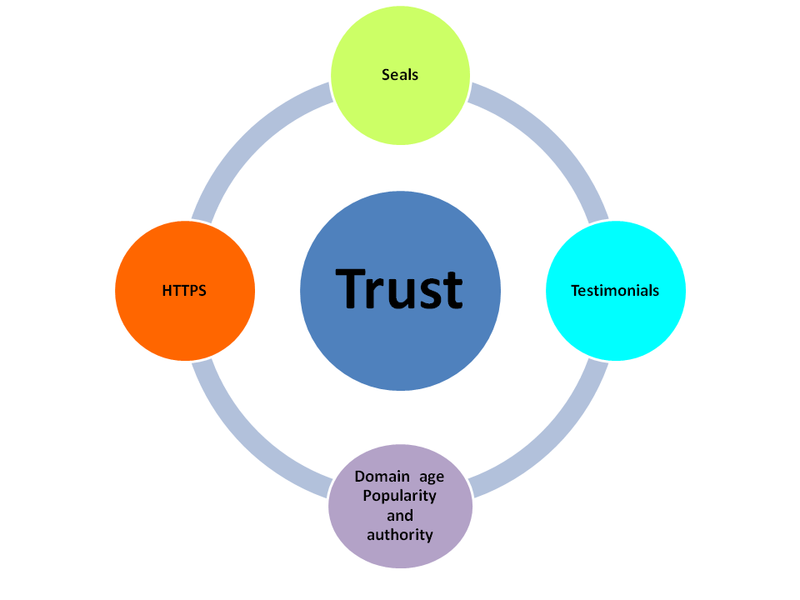 It is all about trust this is the reason why people mostly prefer authority websites like Amazon, eBay and others for online shopping. As clear from the picture how does this seals or reassurance and credibility logos are used in this website. Amazon and eBay both of them are using this logo. Secured HTTP, both of them are using this version of HTTP for their website. Amazon and eBay both are oldest website with online shopping. They are popular too along with people like those sites and consider safe which have high page or domain authority. Testimonials always leaves a positive feedback on the user's mind , You can see testimonials on those websites and in other websites too like Neil Patel of quicksprout is using a fixed testimonials. And this works too as you know Neil Patel receives minimum 200 comments for a post this is all trust that his blog is such popular. What if you cannot afford this. It is quite sure that most of the bloggers can not afford all of these but few things can be done like domain age and high page authority. You can create backlinks and make your site more popular. You can use above seals to gain user trust. See mybloggertricks is popular just because of trust people trust on the administrator of that blog. So you also need to work on it. These were the reassurance and credibility logos and their benefits so that you can represent your site a secure and trusted website. If you like this post then help others too through sharing. Description : 5 Benefits of adding reassurance and credibility logos in blogger or websites. To make it safe and gain trust.Why and how to add them.